Today was the deadline for the Rotary Christmas boxes. Its a very simple idea to fill a wrapped shoe box with little gifts for children living in poverty around the world. Over the years I have collected boxes as my year group’s charity project and made contributions. Its an appeal which is close to my heart, we live such a blessed life and I get upset that there are children in the world who live in such poverty and hardship. If my box can bring joy to a child, I feel privileged to be able to do this. I spend lots of time choosing presents for the boxes, games which can be played easily that’s Jenga and dominoes this year, nice stationery, little toys and a Christmas card. 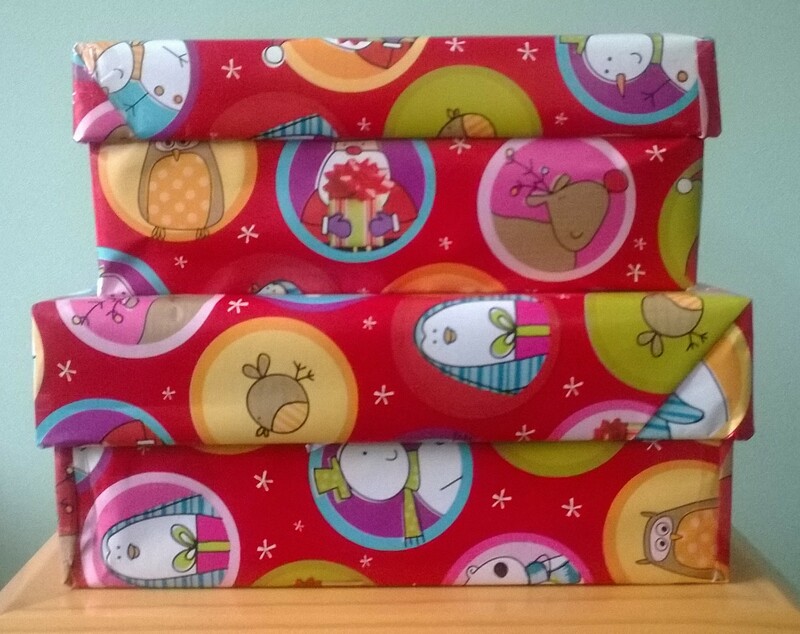 This year I have done two boxes for children the same age as our children, this has made it all more emotional for me. Amid all the excitement of Christmas Day, I always think of the little people receiving this year’s boxes and hope they are enjoying their Christmas presents. The presents show that someone is thinking of them and sending Christmas sparkles, to me this is the true meaning of Christmas.